While there are a lot of similarities in the way home and RV air conditioners work, there is more to an RV air conditioner operation than simply setting the thermostat to the desired temperature. This instructional class will provide you with the information you need to understand how your RV air conditioner functions, identify the key components, troubleshoot some common issues, and learn valuable tips on how to help the air conditioner run more efficiently – and ultimately last longer! 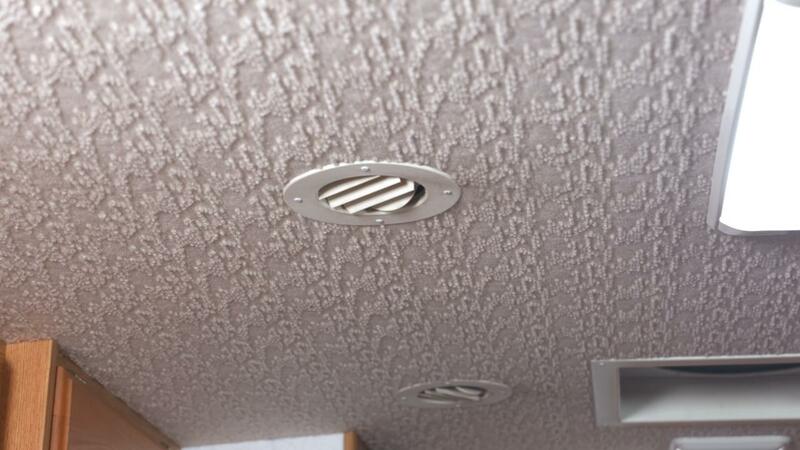 The AC in your RV is often taken for granted. When you’re in your home, you simply set the thermostat at 68 or 72 degrees and you just let it cool. 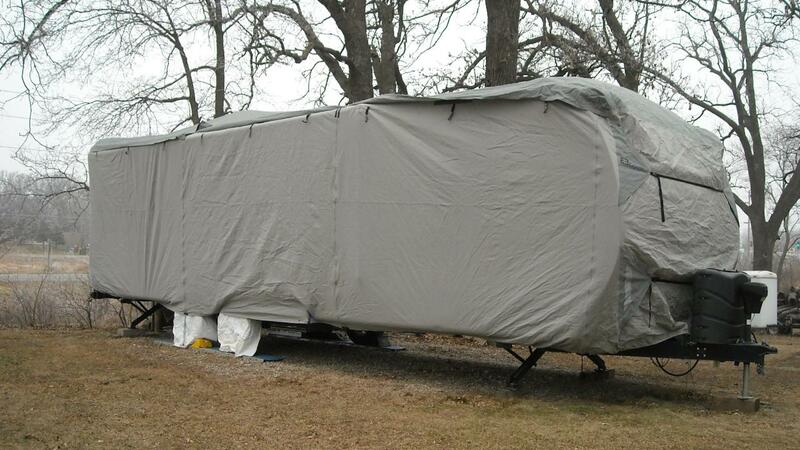 The difference between an RV and a home is that at home we are climate controlled. We don’t let our homes get up to 120 degrees inside or down to -20 in the winter time. Walking into an RV that, with the ambient temperature of 100 degrees outside, could be 120 inside – RV air conditioners have limitations. 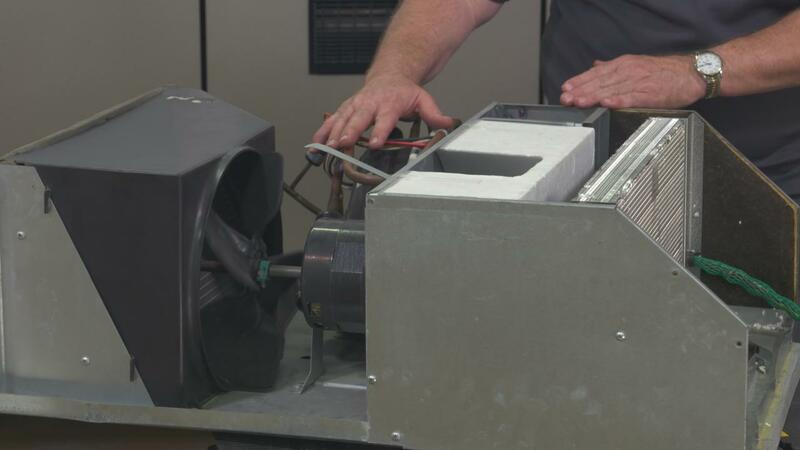 In this class, we’ll show you an overview of the different types of air conditioners used on RV’s, whether it’s a ducted or non-ducted system, cool only or heat pump, as well as roof mounted vs. basement mounted unit. We’ll discuss how they all work, and review the various air conditioning components from evaporators to condensers, compressors and thermostats. We’re also going to review efficiency tips such as shutting the windows and getting some air movement inside the RV to help reduce the interior temperature so that your air conditioner does not have to work as hard. 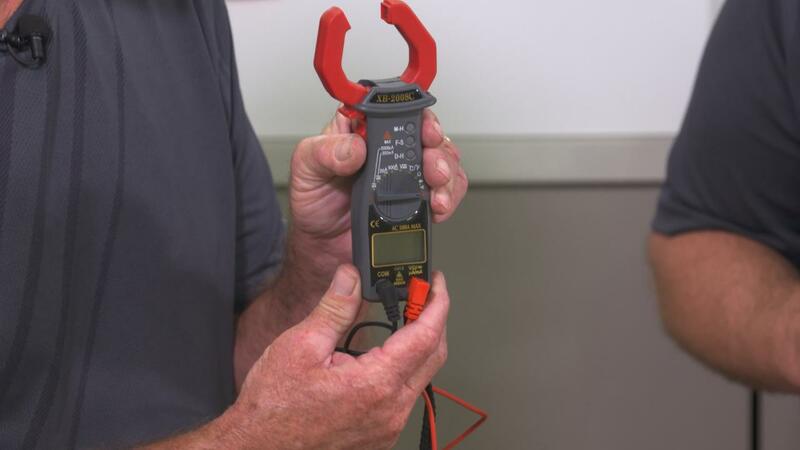 You’ll learn from an RVIA master certified RV technician and see some troubleshooting tips such as checking the voltage coming into your air conditioner from the circuit breaker; not only 120 Volt power but 12 Volt power also. A lot of people don’t realize you have to have 12 Volt battery power to run your roof air as well. We will also show you some tools necessary to make it easier to diagnose your RV air conditioner and maintain it. We’ll talk about safety tips for working with your air conditioner as well as how to maintain it to run at its best efficiency. In addition to the detailed instruction you’ll receive, this class will provide you with some downloadable resources and helpful information to keep, including a Class Guide you can follow and use as a reminder of the key points of the class instruction. Q: Do I have to be a Member of RV Repair Club to purchase a Class? A: No you don’t. While Premium Members will receive regular offers for special deals on RV Repair Club Academy content, Classes are not reserved exclusively for Members. If you buy a Class as a non-member, we’re sure you’d also enjoy having access to our full library of great RV videos and articles as a Member, so give it a try. Q: Why do you need my email? A: We need it to acknowledge your purchase of a Class, and send you a confirmation of your transaction. Also, in order to maintain your permanent access to the Class videos, you’ll need to Log In to rvrepairclub.com. We guarantee that we will not share your email with any third parties. You may receive email updates from RV Repair Club from time to time, with details of new Classes and updates. You can easily unsubscribe when you receive any email. Q: How do I contact RV Repair Club Academy? A: If your question is about the Class content, please use the Class Discussion benefit to ask your question online – and you'll receive feedback from the Class Instructor. Even your fellow Class participants may jump in to offer tips and advice from their experience. If you have other questions or need help, you can email us at RVRepairClub@program-director.net. or call us toll-free, at 1-855-706-3536. Service Representatives will be available Monday-Friday, from 8:00 AM to 4:30 PM Central time, excluding normal holidays. Over the years, RV air conditioners have basically stayed with the same type of operation – but several changes have come along. The older units were very large and heavy and typically had amp draws near 18 to 20 amps during normal operation. In this first class session, we’ll discuss the different types of RV air conditioners and talk about the changes the manufacturers made in the late 1980’s to make the units more efficient. You don’t need a lot of tools to diagnose an air conditioner. You will need a good set of basic hand tools and some basic diagnostic tools. But one of the most important tools to have is a thermometer. 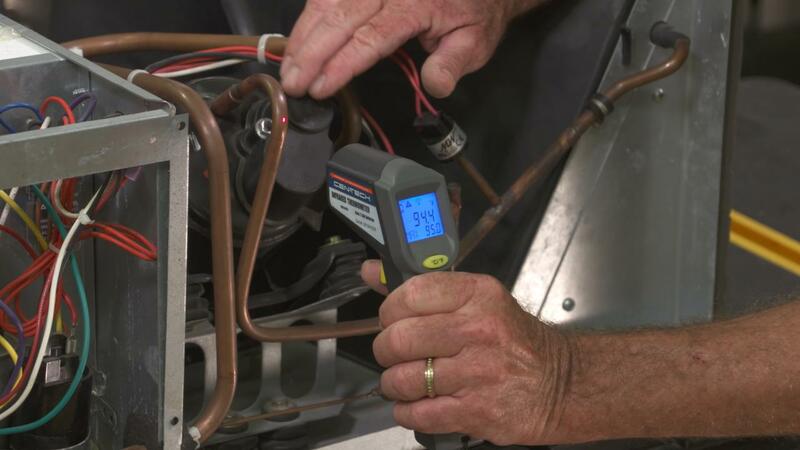 In this session, you’ll see what tools you need to properly work on your air conditioner. A lot of people don't realize that an RV air conditioner can only cool down about 20 degrees. When its 100 degrees outside, the air inside an RV can easily be 120 degrees, and it will take a long time to cool that down to a comfortable temperature. In this session, we will talk about some of the easy things you can do to help the air conditioner do its job more efficiently. There is not a lot of maintenance needed on an air conditioner, but it is important to perform these functions regularly to keep your air conditioner running properly for a long time. In this session, we will discuss what maintenance needs to be done and show you a real-life example of a unit that was not taken care of. It’s important to understand the operation of your air conditioner to be able to troubleshoot one correctly. 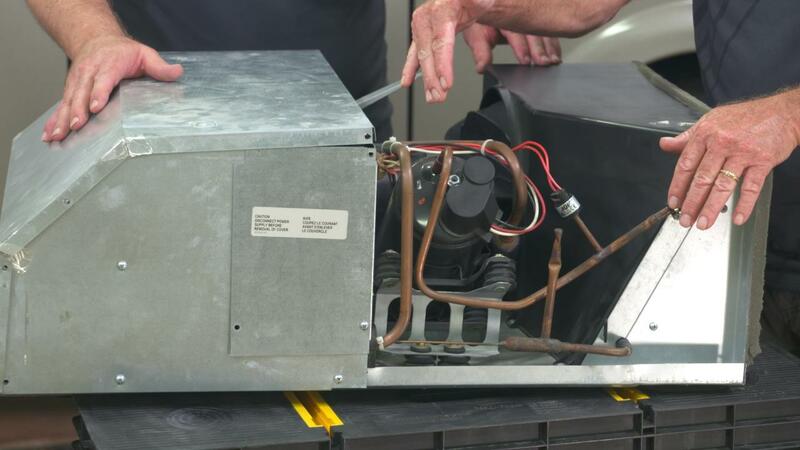 In this session, we brought in our RVIA certified technician to walk you through step-by-step the operation and troubleshooting of the air conditioning unit. We have one set up on the bench to demonstrate how to test the different components. 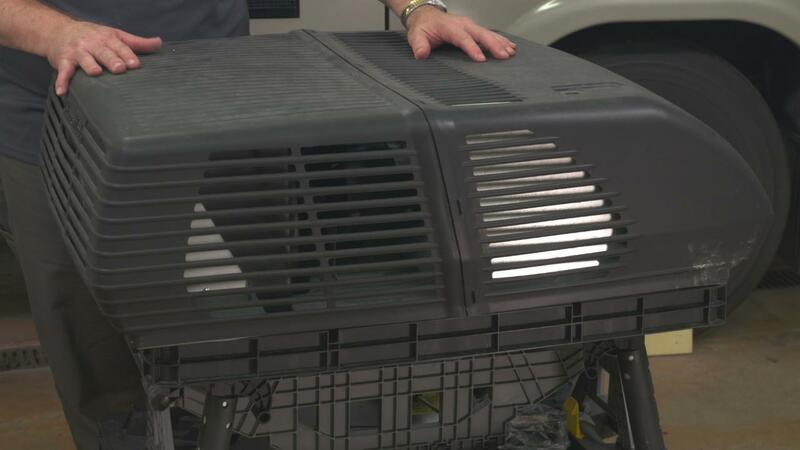 When storing your RV for the winter, or any length of time, there are a few considerations that you need to look at for your air conditioner. 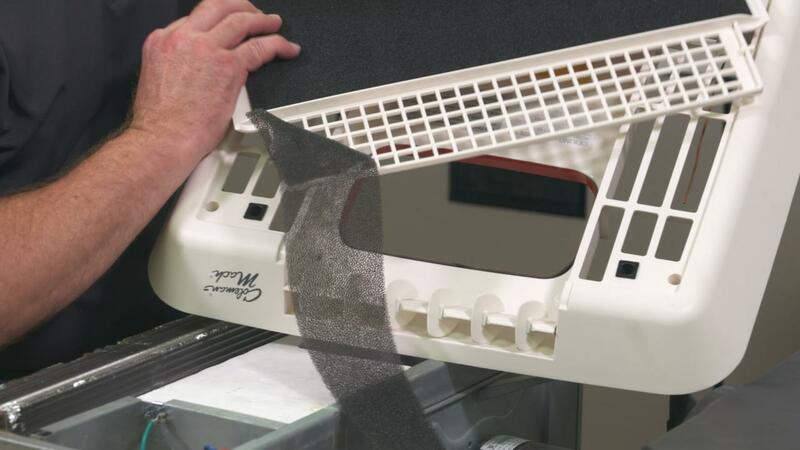 In this session, we’ll show you some things you can do when storing your RV that will help keep the air conditioner from damage during storage.